The French nuclear watchdog has called for the shutdown and inspection of five more nuclear reactors for safety checks. The reactors have a high level of carbon which could lead to various failures. 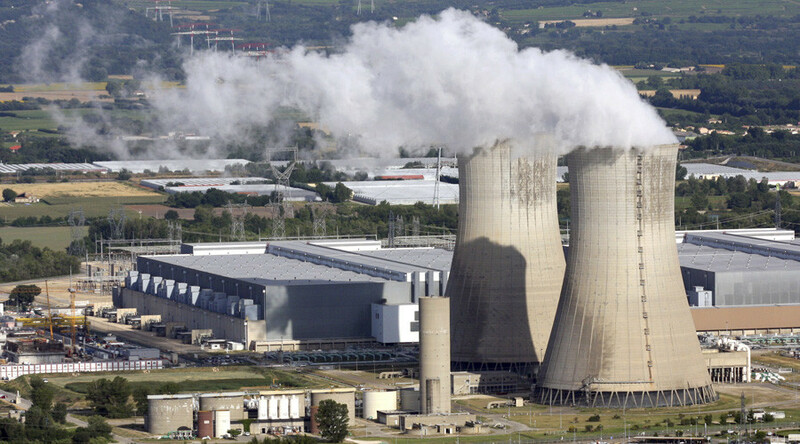 The Nuclear Safety Authority (ASN) has asked nuclear power utility EDF to carry out additional inspections at Fessenheim 1,Tricastin 2 and 4, Gravelines 4 and Civaux 1 reactors, according to a press release. All these reactors are located across the whole France, close to towns and communes. According to the Local, this abnormality could lead to failures in mechanical properties and even to leaks or explosions. The five reactors under scrutiny are among 18 at which ASN found abnormalities in June. Of the 18 reactors ASN says that six could be restarted after inspection. Seven others (Bugey 4, Civaux 2, Dampierre 3, Gravelines 2, Saint-Laurent-des-Eaux B1 and Tricastin 1 and 3) are being inspected and awaiting reboot. France has 58 nuclear reactors with total capacity of 63.2 GWe. The country gets two thirds of its electricity from nuclear generation. In April, President Francois Hollande promised to formally initiate the shutdown of the France’s oldest nuclear reactors on the grounds of environmental and safety concerns surrounding the Fessenheim power plant near the German and Swiss borders. Fessenheim houses two 920 megawatt reactors and has been running since 1978, making it France's oldest operating plant. Due to its age, the German government and activists alike have long been calling for it to be permanently closed. The German government has repeatedly called on France to terminate the Fessenheim plant as soon as possible, after an April 2014 accident when one of the reactors had to be shut down as water was found leaking from several places.